If I see another kid stomp on a bug during a nature walk, or scream and flail his arms around when he sees a bee I will lose my mind. And that’s only the children. You’d never believe some of the wacky things adults do on nature walks, like the school teacher who screamed and ran away and out of sight leaving 25 astonished third-graders with me and a sleeping garter snake we had just found under a bug board. Or the dozens of people you see going down into the Grand Canyon in high heels. But it’s little wonder when you consider how disconnected from life in the outdoors we are. Most people who attend nature hikes are unschooled in basic natural science and history. Many parents view nature hikes as strictly an entertainment for children, or for a springtime “science-lite” field trip from school with a hidden hijinks agenda. But we have some little successes. Two weekends ago I had a completely bug-phobic mother bring her children to “moth night”, our annual evening event when I bait trees and set up black lights to bring in moths and other night insects so they can be seen up close. You have to love a heroic parent like that, but to her surprise and mine she had a blast. Last weekend, I had kids and adults out in our meadow munching like happy cows on Queen Anne’s Lace roots, and arguing over the last bits. 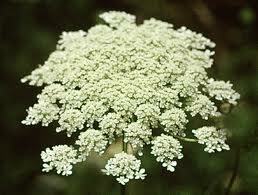 Just in case you aren’t on any of the very worthy survivalist list serves around, Queen Anne’s Lace is the cousin of the carrot and the roots smell quite alike. In darkness you’d be hard pressed to tell them apart. But the QAL tastes like an old, woody carrot, not a fresh one. Looking over our meadows at Hill-Stead there are loads of wildflowers keeping Queen Anne and her lace company right now. Joe Pye Weed and Goldenrod are starting up, Black-Eyed Susan and Milkweed have been around a few weeks. The clover has been blooming for months. Clover, a member of the pea or legume family, grows in white, pink (often called “red”), and yellow (called “hop”), as well as a fuzzy, ochre-colored one called “rabbit’s foot”. 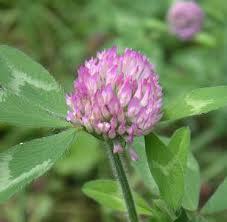 If your yard had clover, a “good” yard service would advise you to eradicate it with pesticides. Aside from the pretty colors and the near continuous blooming habit, here’s why you might consider a stay of execution. Nitrogen. Essential for life, it’s in about 80% of the air you breathe and is called “free nitrogen”, though it’s anything but free to us since we can’t directly use the airborne variety. Only “fixed nitrogen” is available to animals and plants. Where do we get it? Plants need nitrogen in the form of either nitrates or ammonia. These come from the soil, where they are dissolved in soil water, are taken up by the roots of the plants and start wending their way through the food chain. But, how do the nitrates and ammonia get into the soil? 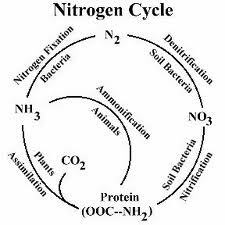 Nitrogen is “fixed”, or converted from free nitrogen in the air to nitrates (or ammonia) in various ways. Of course, people can add nitrogen to soil in the form of fertilizer. 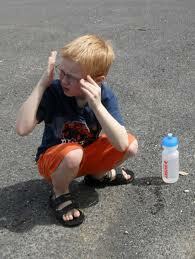 And lightening can cause reactions which result in the creation of nitrates. 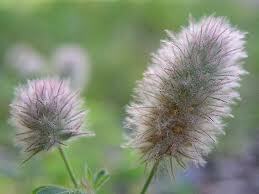 There is also “nitrogen fixing bacteria” that converts free nitrogen from the atmosphere into a useable form. The bacteria have enzymes that cause the change. Here’s where the clover comes in. The bacteria live in nodules on the roots of leguminous plants,-yes! 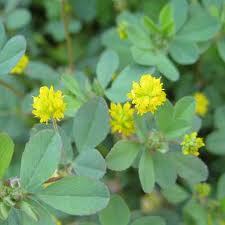 Plants like clover, with both good looks AND talent. In short, clover unlocks a key to the entire food chain. I love it, and I keep what I have growing in my yard. Our meadows here at Hill-Stead are filled to the brim with clover-fixed-nitrogen and the food chain to go with it. I love showing it off to visitors. I don’t think that nature walks need to be treated as just a Sunday afternoon diversion for the kids, yet I don’t need everyone to be a citizen scientist, either. I would like for guests to come away from our programs with a fresh understanding of the outdoors, one that sees the human individual as part of the natural continuum, a steward and caretaker and, in fact, a party to the food chain itself. You don’t have to know the ins and outs of the nitrogen cycle for that. But you do have to go outside once in a while and look at the clover. This entry was posted on August 4, 2011 at 9:45 PM and is filed under Connecticut nature, Conservation, environment, museums, natural history, Nature, New England Museums, outdoors, plants, rabbit, Uncategorized, wildflowers, wildlife. You can follow any responses to this entry through the RSS 2.0 feed. You can leave a response, or trackback from your own site. Diane, your blog is back! We’ve missed it! Thank you-you are so kind. I just needed to gather my thoughts! Vintage Diane. I am now a devout follower. Keep these coming!!! You are very kind-thanks for writing in. I hope you like future topics! Diane…You are a wonder! love your blog and all the useful information…and love YOU! Your prejudice is showing Mary Jane. And I love YOU, too. This is a great piece. Good to see the blog again. I have been lost without your upbeat notes and important information that you make a joy to read!! Look forward to all you have to say! Keep up the great work. Hope you do not mind but I forward to my friends!! i raved and raved…really enjoy your personal touch to what could be mundane!!!!!!! I have no idea what happened to my comments!? Thank you-you spoil me! I think both your comments are here, but I am a computer idiot, so I am not sure! Thanks again for reading and writing in. It really makes me feel good. Great post, as always. I did not know that clover was so essential. You are a fabulous teacher. If I ever get to CT, I want to go on one of those walks. You are far too generous. And coming from you, who are truly so multi-talented–well, I do feel small, much like the subject of my next blog: The Funnel Web Spider. Thank you for everything you sweet soul.